An early rally on the stock market was largely gone by the closing bell as another plunge in the price of oil sank energy stocks. U.S. crude fell to its lowest price since August 2017 Tuesday and is now down nearly 40 percent since early October. Exxon Mobil gave up 2.8 percent. Oil prices have dropped sharply as oil supplies increased and demand weakened as the global economy slows down. Technology and industrial stocks rose. The S&P 500 edged up less than a point to 2,546. The Dow Jones Industrial Average rose 82 points, or 0.4 percent, to 23,675. It lost just over 1,000 in the previous two days. The Nasdaq rose 30 points, or 0.4 percent, to 6,783. Stocks are moving higher in midday trading as the market regains some of the steep losses it suffered over the previous two days. Technology companies helped drive stocks higher Tuesday. Facebook added 3 percent. The price of oil continued to slide, a day after closing below $50 a barrel for the first time in over a year. Boeing, which has taken sharp losses recently, rose 3.9 percent after announcing a stock buyback and a dividend increase. The S&P 500 rose 13 points, or 0.5 percent, to 2,559. The Dow Jones Industrial Average rose 208 points, or 0.9 percent, to 23,803. It had lost just over 1,000 in the previous two trading days. The Nasdaq rose 46 points, or 0.7 percent, to 6,800. Bond price rose, sending yields lower. 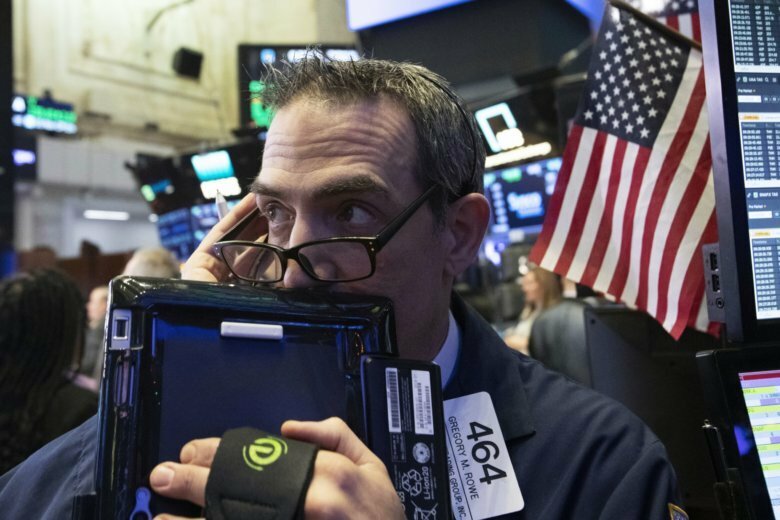 Stocks are opening solidly higher on Wall Street as the market claims back some of the ground it lost in steep drops over the previous two days. Technology and industrial stocks were among the biggest winners in early trading Tuesday. Oracle rose 4.2 percent after the business software maker reported better earnings that analysts were expecting. Boeing, which has taken sharp losses in recent weeks, rose 3.6 percent after announcing a stock buyback and a dividend increase. The S&P 500 rose 18 points, or 0.7 percent, to 2,563. The Dow Jones Industrial Average rose 209 points, or 0.9 percent, to 23,812. It had lost just over 1,000 in the previous two trading days. The Nasdaq rose 44 points, or 0.7 percent, to 6,798.